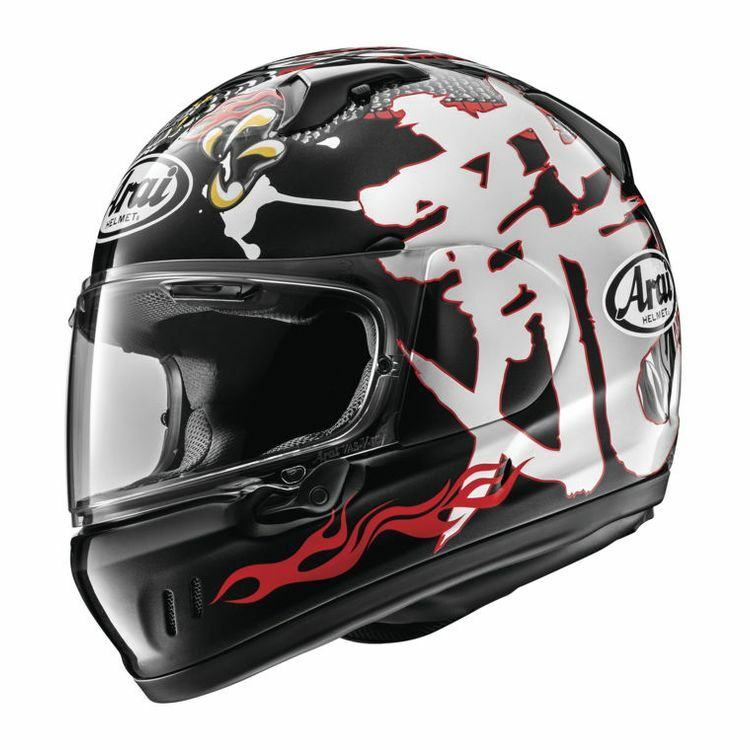 The Defiant-X developed from Arai's desire for a full-face helmet that would match cruiser motorcycles by complementing the riders’ unique style. The lines of the Defiant-X's chin area are sculpted to convey a strong and unique look. The four front intake slots, combined with the four side exhaust slots, create a highly effective internal air flow and provide excellent ventilation, making the Defiant-X very comfortable. The key to this high performance are the side ducts that remove hot air from the inside, which are connected directly to the interior via high performance air channels. These are hidden behind the cheek pads and connect the two side exhaust slots to the interior and pull air out of the helmet with incredible efficiency.